While sitting in a laboratory meeting as a Ph.D. student, my advisor brought us an image of a virus particle that all of the graduate students recognized as a retrovirus, specifically the genus of retroviruses called “lentiviruses.” We knew this because these viruses plagued veterinary medicine for decades, causing a variety of chronic animal diseases, well known to veterinarians. What surprised us and the world at the time, was that the virus was isolated from patients suffering from a new human epidemic eventually known as AIDS. The world for me changed almost overnight and I dedicated my career to studying these deadly viruses of animals and people. This past week, one of our research teams lead by Dr. Tracey Goldstein described the discovery of a new strain of Ebola virus from bats in Sierra Leone. As with most scientific investigations, the new virus was discovered by a collaborative team effort that included our One Health Institute, well as colleagues at Columbia University. As I spoke to Dr. Goldstein about the discovery, she became expressive, excited, but restrained at the same time, trying to contain her sense of discovery with her analytical side as a professor whose job it is to identify the origin of viruses like Ebola. Her motivation was in context to the vivid reality that the most recent Ebola outbreak in 2013-2016 killed more than 11,000 people in West Africa. 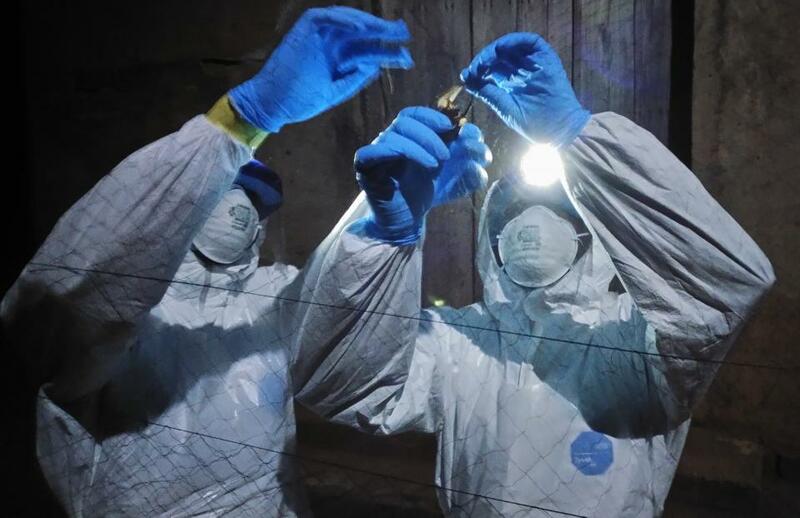 While this new virus may not be the origin of that outbreak, her team’s work provides more evidence that bats are a likely host for these deadly human viruses and opens new questions in their goal to prevent global pandemics. Like anyone who discovers new knowledge to help enlighten our world, I know the feelings of Dr. Goldstein and those involved in this significant new finding. These moments are rare in the life of a scientist, but are never forgotten. They are etched into the personal stories of our researchers forming the foundation of how they are defined. She is one of our many faculty members who bring enlightenment through their discoveries. They possess an innate desire to help humankind through their work, and in doing so, help all of us better understand our world. 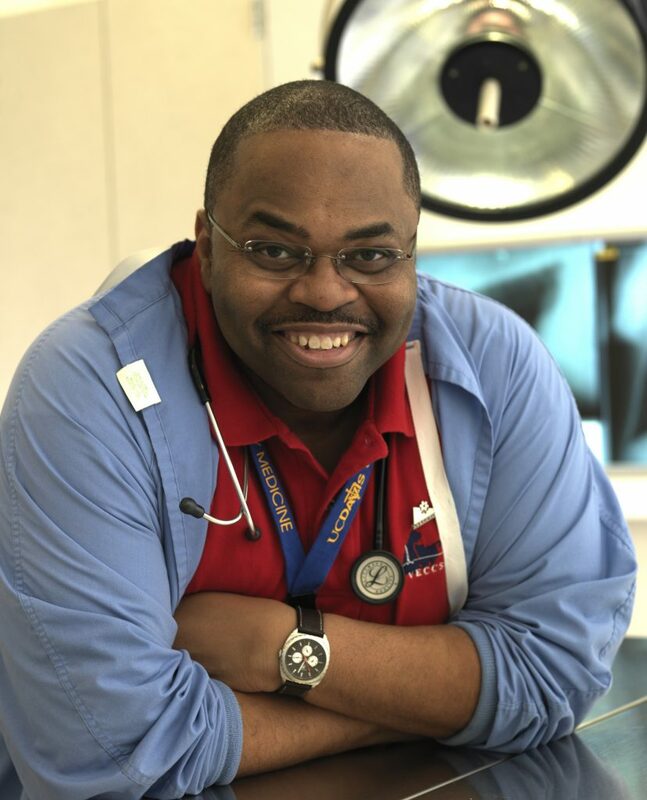 Harold Davis, service manager for the Emergency and Critical Care Service at the UC Davis Veterinary Hospital. I recently had the privilege to interview one of our outstanding retiring staff members, Harold Davis. He sat smiling in my office, humbly expressing his gratitude for his employment of more than 30 years working in our Emergency and Critical Care Service at the Veterinary Medical Teaching Hospital. He spoke in his typical soft deep voice, sounding like a self-effacing version of James Earl Jones. We recalled the many changes he lived through in our hospital including working for four different directors, the excitement of planning for our new Veterinary Medical Center, to more poignant stories of patient survival and tragic events he witnessed over the years. Harold also warmly spoke of the many relationships he formed over time with those he worked with, consistently praising his co-workers for their talents and gift of friendships formed while doing a job he loved. What I felt most while listening to Harold was his sincerity and integrity. These traits are incorporated closely with his character, and as he spoke radiated through his caring words of advice and wisdom. Dean Michael Lairmore greets attendees at the Spring Showcase. A basic characteristic to becoming a good student, an astute researcher, or insightful clinician is curiosity. The ability to ask questions to learn new information and explore new paths of knowledge is forged from the trait of being inquisitive. 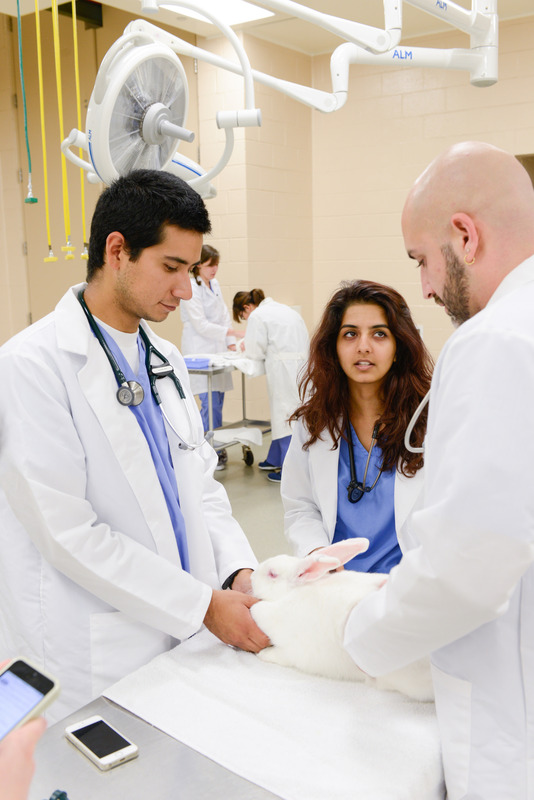 Our school has led veterinary medicine and contributed to fundamental knowledge in biomedical and agricultural research by talented faculty, staff, and students who seek new and innovative ways to advance the health of animals, people, and our planet. 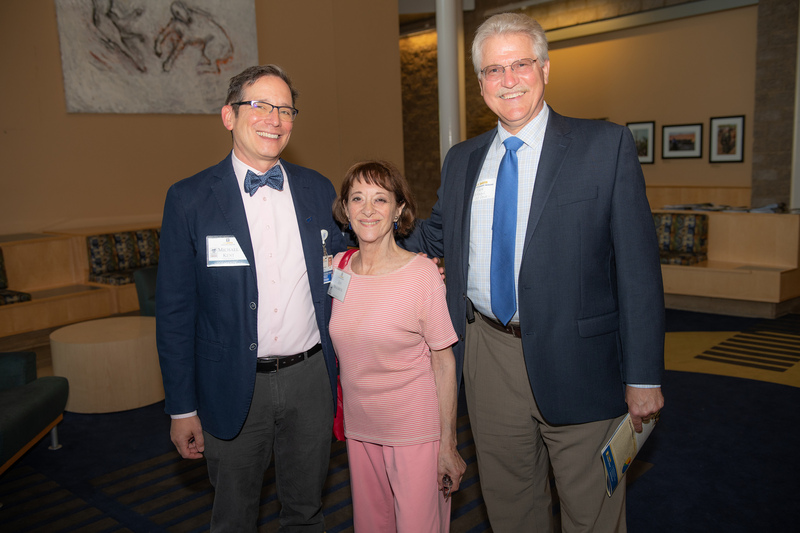 Many of these advances were on full display at our Spring Showcase, an annual event to highlight the accomplishments and aspirations of the Centers for Companion Animal Health (CCAH), Center for Equine Health (CEH), and our Karen C. Drayer Wildlife Health Center (KCDWHC). Dr. Michael Kent, on left, chats with donors attending the Spring Showcase. The CCAH, led by Director Dr. Michael Kent, continues to build upon a rich history of advancing the health of companion animals through research grants, resident project funds, and equipment grants. At the Showcase, Dr. Kent reviewed how the CCAH provided over $1.5 million in research support this past year, made possibly by generous donations from grateful clients, foundations, and individuals united in their passion to help discover new ways to help animals through studies to solve the toughest problems faced in veterinary medicine. 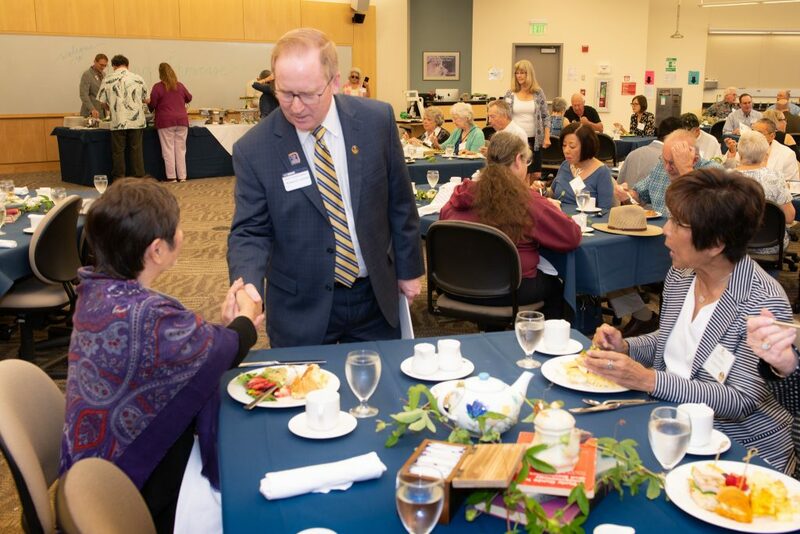 In turn, those faculty, residents, and students who are the beneficiaries of this support have responded by creating new knowledge that is at the leading edge of understanding in veterinary medicine. From the discovery of genetic clues to explain diseases in chondrodysplasia in dogs and humans, to bringing new hope to shelter animals through evidenced-based studies to reduce disease and increase adoptions, CCAH funded investigators envision ideas that lead to innovative solutions in animal health. 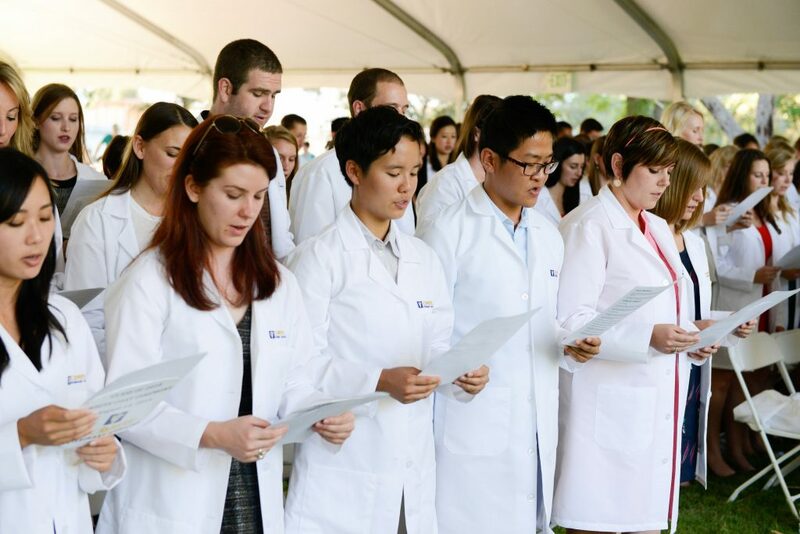 Members of the Class of 2018 during their White Coat ceremony in 2014 at their induction into veterinary school. 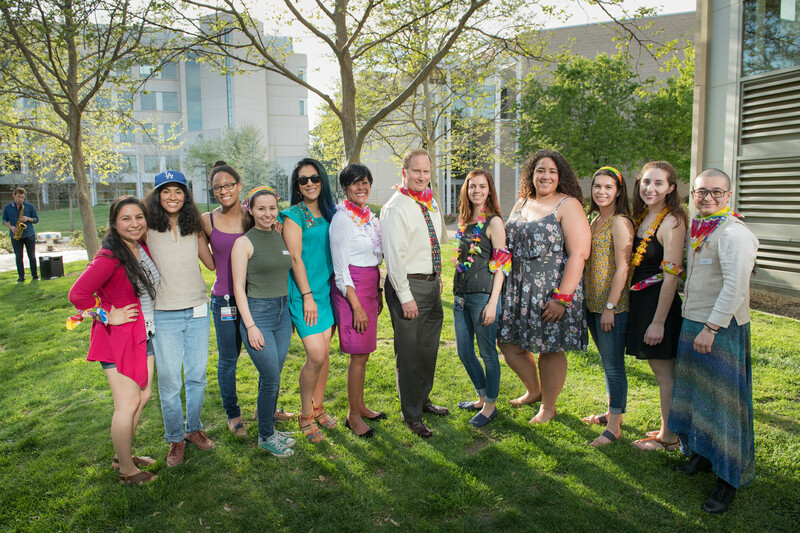 As commencement season begins, my thoughts turn to our new graduates who will soon receive their DVM degree. Since the establishment of the school in 1948, we have been leaders in veterinary medicine by working to benefit the health of animals, people, and the environment in California and beyond. Our school, and its alumni, have shaped the field of veterinary medicine, from developing innovative education programs to discovering mechanisms of animal and human diseases. Our new graduates join this legacy. The Class of 2018 came to us with an intense desire to gain the skills of this great profession and a passion to advance animal health. They are graduating into a world of great promise, and many challenges. 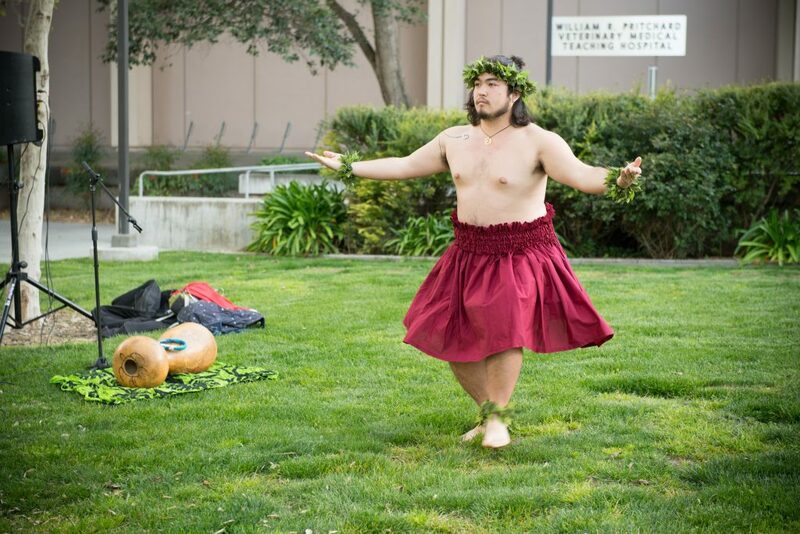 Along the way, they have enriched the school’s history with their own unique characteristics that bonded them to each other and to those that trained them. The many hours of study and exams, along with the countless time spent with their animal patients, are the tip of the iceberg of the journey it took to get them to this moment. Each of them has their own unique story to tell. Each of them has overcome barriers, faced doubt from others and in themselves, or may have endured heartbreaking events that changed their path along this voyage. Importantly, they would not be at this touchstone along their career unless they possessed a trait that is critical to anyone’s success in life—a characteristic as important as the knowledge learned in veterinary school. They had to be resilient in their own way. Resiliency is defined as the ability to recover from or adjust easily to misfortune or change. As I watched our students celebrate our annual Diversity Day, I was impressed with their unity expressed through their voices, spirit, and talents. Our students’ energy reflected the strength that is exhibited when we celebrate our nation’s multicultural tapestry. We celebrate those that join us from various backgrounds and cultures, learning from each other as we come together with a common purpose to foster education, research, and service to society. It is no surprise that in the business world, companies with top quartile diversity (defined as women and international representatives) on their executive boards, generated returns that were ~50% higher, on average, than the companies in the bottom diversity quartile. We should not be surprised that in our profession, when we harness the power of a diverse workforce, we better position ourselves to address society’s problems. Our school has consistently demonstrated our commitment to recruit a diverse workforce and student population. For example, we consistently rank in the top three institutions nationally in our numbers of under-represented groups for our veterinary professional students. These statistics, while impressive, do not measure what empowers our students, faculty, and staff. Equally important to a successful and diverse workforce is resiliency. Diversity is synergistic with resiliency; mirror images of each other. When we open ourselves to learn from others and listen to their experiences, we draw strength from their ideas and history. The characteristic of a resilient person is not easy to quantify, as it is often only revealed after adversity is introduced to their lives, shattering their plans and perceptions of the future. 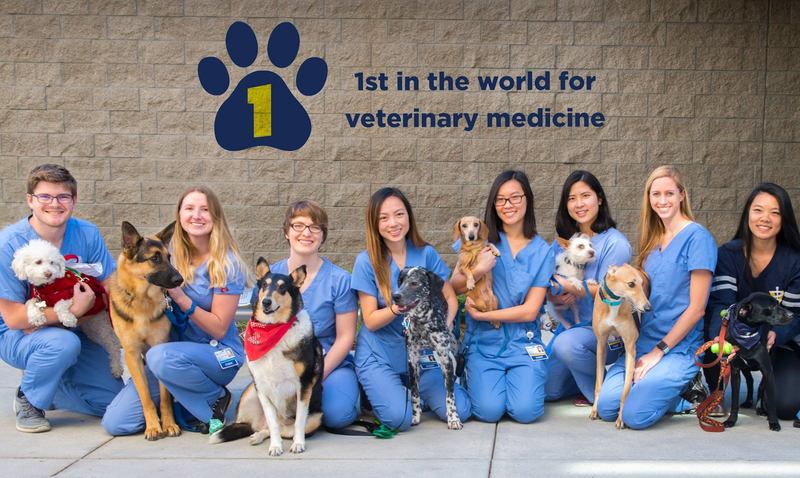 The school has been recognized for the fourth year in a row as the #1 program in the world in veterinary science by QS World University Rankings. So how is excellence measured? It is my belief that the quality of any organization is built from the character, values, talent, and work ethics of its people. Without the habits of excellence brought to work each day by our faculty, staff, house officers, graduate students, and veterinary students, we would not be recognized as the global leader in veterinary medicine. While our buildings, laboratories, hospitals, and other resources are critical for us to do our work, we would be a far less effective organization if it were not for the quality of our people. At the heart of what we do is the education of the next generation of veterinarians, research scientists, and veterinary specialists. Our educators work tirelessly to improve our curriculum, bringing outcome-driving, and adult-learning models to spark life-long learning as a habit in our trainees and students. The many hours our teachers and staff put into their lectures, teaching laboratories, notes, and course materials is paid back to them in the success of our graduates, who fill important jobs throughout the world in private practices, industry, and government. We seek to develop leaders in all facets of jobs that are filled by our alumni, and desire to reconnect with them as we delight in their successes. On Valentine’s Day, we celebrate our love for others through gifts, flowers, or other expressions of our feelings. Daily, we may observe acts of love and compassion, but not fully appreciate how important these traits are to our feelings of fulfillment and belonging. We are fortunate to work in an environment that celebrates the human-animal bond, which at its core is a mutually beneficial relationship between animals and people, reflected in emotional, psychological, and physical interactions. Scientific research has verified the physiologic effects on both pet parents and dogs who are bonded. Anyone who has been emotionally touched by their pets understands the depths of our love for animals. 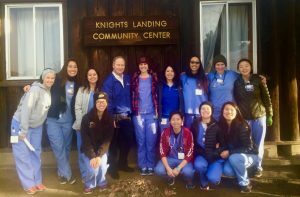 Dean Lairmore surrounded by students at the Knights Landing One Health clinic. 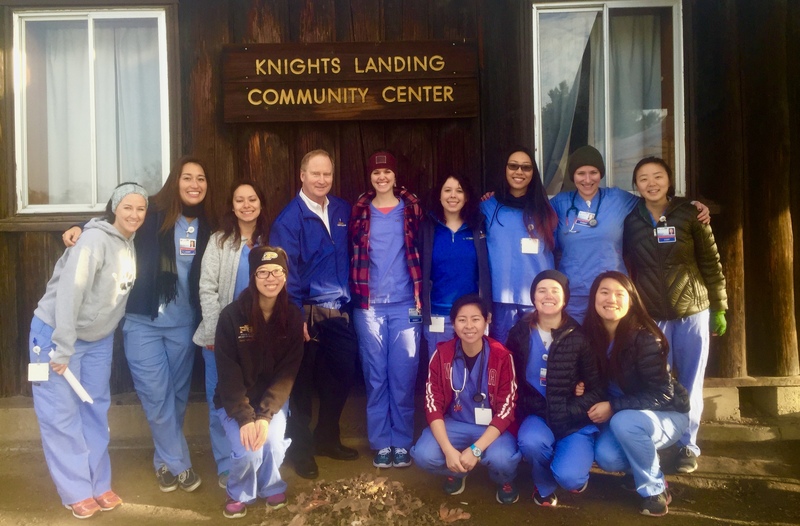 We extend our compassion to our community in a variety of outreach programs such as our student-run Mercer and Knights Landing Clinics. 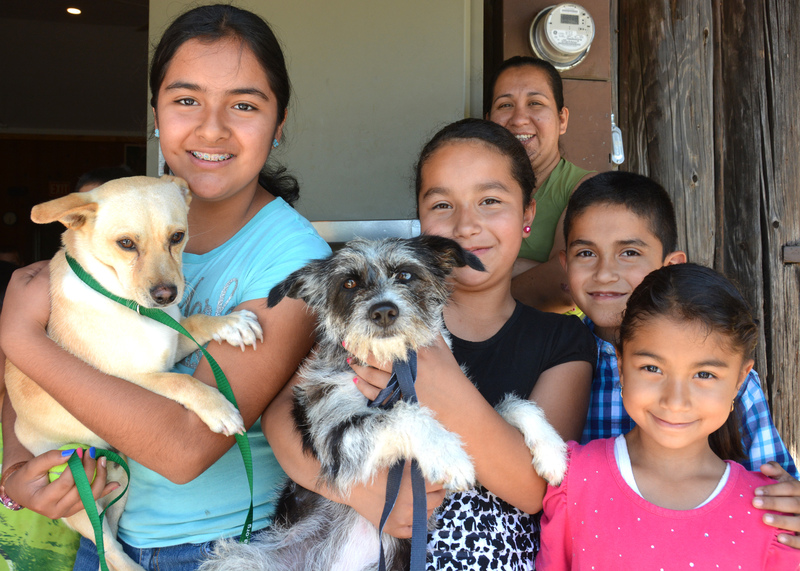 These clinics provide healthcare for pets of those in need, but who lack adequate resources. I recently visited our Knights Landing One Health Clinic on a busy Sunday morning. The clinic was a hub of activity with more than thirty students, volunteers, and clients gathered in the local community center. The compassion and dedication of our students was on full display as they interviewed clients and examined anxious pets on make-shift exam tables. Our students’ desire to serve the underserved of our society is a clear expression of their humanity. Another form of compassion is expressed for our co-workers in their times of need. We express sympathy towards our co-workers following the loss of a family member or in times of severe stress. In addition, while less obvious, we show we care in small acts of daily kindness. The affirmative effects of kindness are experienced in the giver and to those that witness the act of kindness, spreading good feelings and positively influencing the work environment. As we envision our future, we must acknowledge the importance of compassion in solidifying the bonds between us that bring satisfaction in our work and warmth to our souls. Compassion and love do not always extend to others, but may be just as important when inwardly directed. We must also forgive ourselves and have sympathy for our faults. We need to be aware of our own feelings to be in touch with our thoughts and moods. Self-awareness and the ability to forgive ourselves promote positive feelings and improves our resilience to life’s demands. Taking the time to pause our lives for health and wellness serves to bring self-compassion into our daily routines. When love and compassion become incorporated into our habits, we view them not as isolated gestures, but vital components to our productivity, and critical to our work satisfaction. 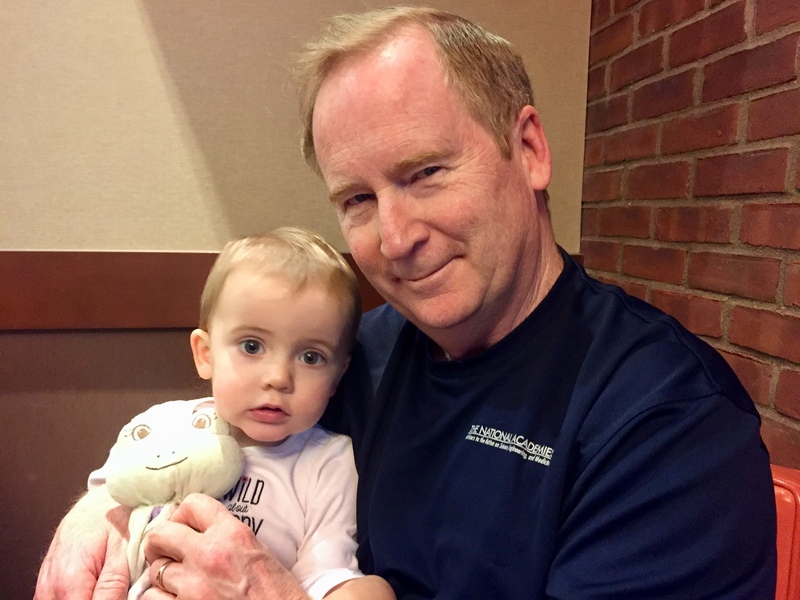 Dean Lairmore with his second granddaughter, Juliette, during the winter holidays. The new year brings a sense of renewal, a chance to begin again, perhaps in a direction that sets our life toward a new course. Holiday breaks, often spent with family and friends, help refresh our bonds with those we love and remind us of who we are in spirit or how we started our life’s journey. As we focus on the future, it is also a time to reflect on the present and to consider what is important in our lives. Our school has two major strategic planning efforts underway to help us plot our future course. We will soon launch a new strategic plan for our veterinary hospital to gain insight into how we lead the world in veterinary medicine, transforming the lives of animals and humans through compassionate, innovative care. We are also refreshing our current strategic plan to reflect and build on our accomplishments and lessons learned over the past five years. Earlier this year, fourth-year students Margaret Austin (left) and Hannah MacDonald received hands-on training at Tulare-area dairies under the guidance of Dr. Wagdy El-Ashmawy. At UC Davis, we believe deeply in the interdependency of animals, people, and the planet we all share. It is with this core value that we look to the future. To feed a hungry world, we must train a veterinary workforce that is capable of addressing some daunting statistics. According to the 2017 report of the Food and Agriculture Organization (FAO), one of the greatest challenges the world faces is how to ensure that a growing global population – projected to rise to around 10 billion by 2050 – has enough food to meet their nutritional needs. By 2050, food production needs are expected to increase by 50 percent. While global food security requires a complex series of approaches, it is clear that the production of healthy animal-sourced proteins will play a significant role in the solution. An artist’s rendering of the future Livestock and Field Service Center. We have come a long way since the inception of our school in the late 1940’s. Delivery of veterinary services and the education of veterinarians have significantly evolved over the past six decades. We are planning our Livestock and Field Services Center to meet these emerging needs of our regional clients and stakeholders, but also to train our students to be ready for the challenge of animal agriculture in all of its forms around the world. Horses have played a key role in the history of California, as an early form of transportation and symbol of the West, to today’s equine athletes thrilling us with their power and grace. Horses touch the human soul with their spirit and beauty. 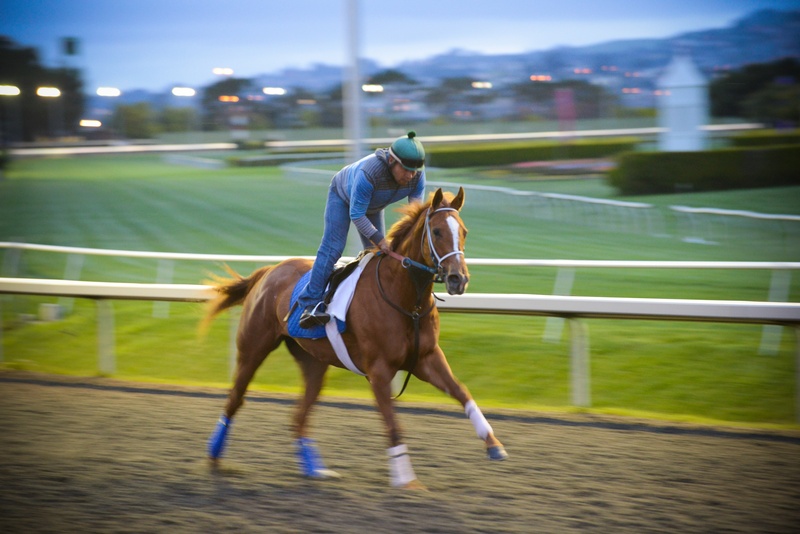 Watching the recent Breeder’s Cup horse racing events held at the Del Mar Thoroughbred Club racetrack in San Diego, I marveled at the power and strength of the horses as they thundered down the track. Jockeys in their bright colored jerseys, in rhythm with their rides, flashing by to the roar of the crowd.